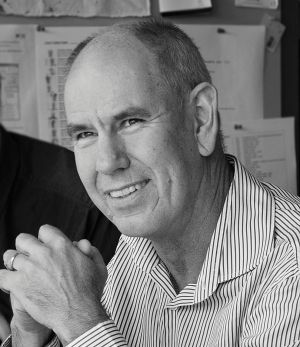 Australia’s architectural community has lost a much-loved and highly respected practitioner with the passing of Stephen Ashton at the age of 61. He was exposed to asbestos automotive brake pads in the 1970s and died after a prolonged battle with mesothelioma. Architecture). All three were this year awarded the Australian Institute of Architects’ highest honour, the Gold Medal. Steve was born in Sydney but spent his childhood and teens in Maffra, Gippsland. He came from a line of Victorian architects: his great-great-uncle Stephen Percy Ashton (1882-1954) ran a significant practice in Maffra from 1905 to 1954 and designed many major buildings in the district, including the Memorial Hall and the Foster Building. Steve’s father, Stuart Ashton (1921-2007), moved to Maffra in 1955 to take over Stephen Percy’s practice. Stuart designed many of Gippsland’s public buildings, hospitals and schools as well as many private homes. Steve studied at Gippsland Grammar School, where he was dux in 1971. He graduated in architecture from the University of Melbourne and went to work in 1977 for Daryl Jackson, later for Peter Sanders and then for Max May. He began a practice on his own at home and soon had too many projects, so he rang his university friend Howard Raggatt. They teamed up in the old glove factory in Leicester Street, Carlton, where Howard had his office, and formed Ashton Raggatt (A+R) in 1984. It became ARM when Ian McDougall joined in 1988. Steve, Howard and Ian had already met as part of the group that founded the Half Time Club (Melbourne 1979-98), an important independent forum of students and graduate architects who argued about architecture over beer and chips. Steve also completed a graduate diploma in business administration from Swinburne University and the expertise he acquired greatly underpinned ARM’s success. He was a great negotiator; indeed he enjoyed the all the bargaining that is a normal part of construction and consultancy. He was an all-rounder in architecture, but became known especially as an expert in project procurement and delivery. He became a national authority on the protocols and pitfalls of design/construct and alliance contracting. He was a calm coordinator who nurtured harmonious collaborations with contractors, other architects and clients to deliver some of Australia’s most significant buildings. He was directly involved in renowned projects including the National Museum of Australia, Perth Arena, the Victorian desalination plant, redevelopment of the Shrine of Remembrance, MTC Southbank Theatre, Melbourne Recital Centre and the Hamer Hall redevelopment. One of his all-time favourites was ARM’s redevelopment of RMIT Storey Hall. A highly intelligent man, Steve was the steady and wise counsellor in ARM’s triangle of directors but also a man of great humour. Meetings were often rollicking recitations of Blackadder (especially Blackadder the Third) or Yes Prime Minister. He could, when the time seemed right, narrate the whole of Sir Desmond Glazebrook’s “Got to trust a chap” episode. The high regard he achieved in the profession also stemmed from many years active in the Australian Institute of Architects: on the Board of Practice Services (1986–90), as a chapter councillor (1986–94) and as Victorian chapter president (1990–1992). During his presidency, he played a key role in implementing the institute’s move from South Melbourne back into the city to its current Exhibition Street site and revamping the architectural awards. He was made a Life Fellow of the AIA in 1998. Steve might have inherited another great love from his ancestors. Great-great-uncle Stephen was an early car enthusiast who owned two Belgian FN roadsters before World War I. Similarly, Steve had a lifetime love of car rallying. He was an avid and skilful driver who also played a major role in the governance of Australian rallying. Steve was the steady and wise counsellor in ARM’s triangle of directors, but also a man of great humour. He always believed things could be done better and turned this into committee work, joining the CAMS National Rally Commission in 1990. He was deputy chair from 1995 to 2006. He founded Rallycorp, the commercial arm of the Australian Rally Championship, in 1999, and was chair until 2009. This year he was made a life fellow of CAMS. When Steve asked Rosemary Nixon to navigate for him, the partnership worked so well that they married in 1985. As a team, Steve and Ro, a dermatologist, competed regularly in state and international events including the 1993 London to Sydney, 1995 Round Australia and many Classic Outback trials, including winning the 2005 Group N Victorian Rally Championship. Steve was a great friend and mentor to many in the architectural profession. He is survived by Rosemary, their daughters Louisa and Kate, his mother Jean and sister Meredith. Words by Ian McDougall, Stephen Ashton’s business partner and friend. This obituary was originally published in The Age on 25th of August 2016.